While it is clear from the chart that the husband-as-sole-breadwinner stereotypical family of the 1960s was probably not the norm then, it is most certainly less so now. Mothers worked during the 1960s but fewer than half of all married couples during that era were dual-earners. Today, that number has risen to 66 percent, more than twice the number of sole-earner married couples. 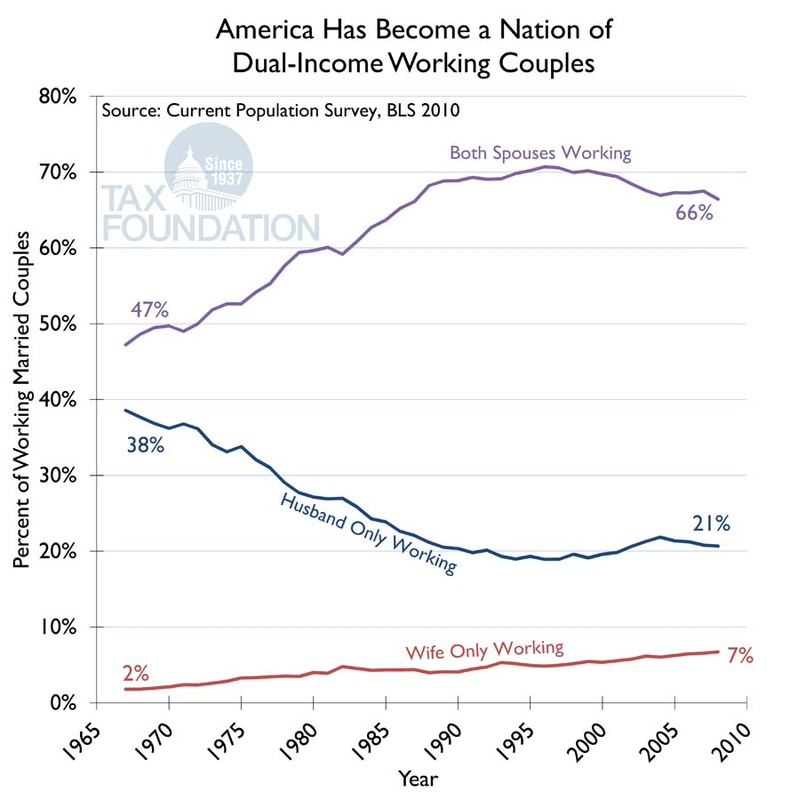 This means that a large share of married couple tax returns have two incomes and thus are now clustered in the upper income groups facing the highest marginal tax rates.